Environmental Sustainability At Its Finest. 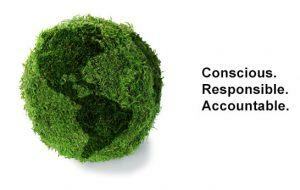 At Grandcity Autobody we take our responsibility to protect the environment very seriously. In an industry that has a bad reputation when it comes to being eco-friendly, we stand apart in our dedication to environmental sustainability. Our goal: To do our part in preserving the planet and to reduce our business’ overall ecological footprint. recycling materials whenever possible, including: oil, antifreeze, batteries, solvents, steel, plastics, cardboards and paper. properly storing hazardous waste material and ensuring that they are disposed of properly and safely. The environment is our responsibility to protect and we pride ourselves in our commitment to it. We value our natural world and we endeavour to do our part in preserving its beauty for our future generations. When you are considering a collision repair shop, you can trust that Grandcity is your Green Choice!